Continuing the longest on-going signature footwear series in history, the Jordan Brand took flight for the unveiling of the Air Jordan XX8 during a special invite-only event in New York City earlier today. 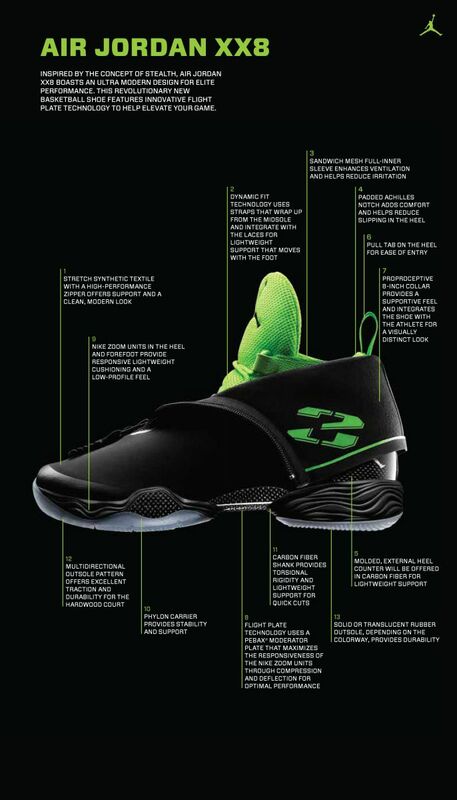 The Air Jordan XX8 is the Jordan Brand's most technologically advanced and performance-driven signature Air Jordan yet, featuring a Zoom Air maximizing Jordan Flight Plate, Dynamic Fit lacing system, stretch-synthetic shroud and a carbon fiber external heel counter for lightweight support. While the Air Jordan XX8 is expected to make its on-court debut quite soon, an official launch won't come til All-Star Weekend in Houston. The Air Jordan XX8 will see an exclusive launch on February 15th in Houston, while a nationwide official release is set for February 16th. 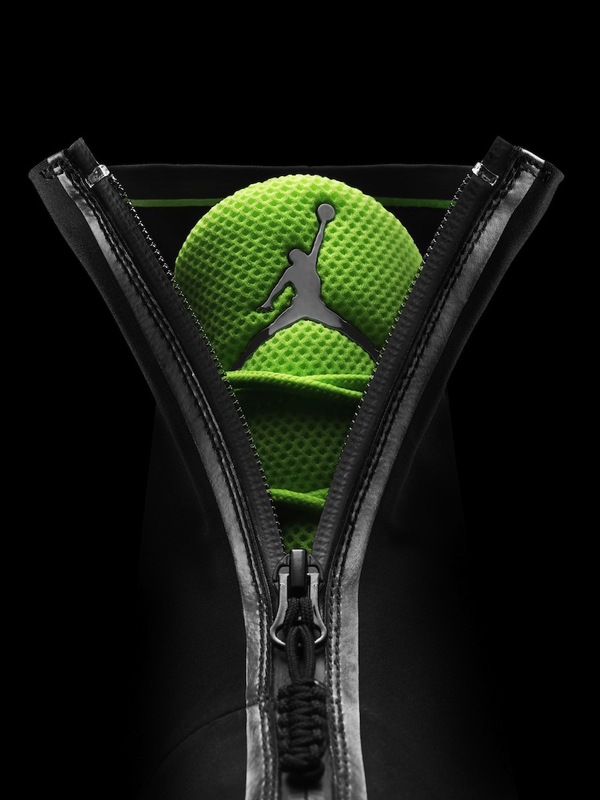 Today, Jordan Brand, a division of NIKE, Inc., unveiled the AIR JORDAN XX8, the 28th shoe in the AIR JORDAN franchise. It will be available in Houston only on February 15, 2013, and then nationwide on Saturday, February 16, for a suggested retail price of $250. 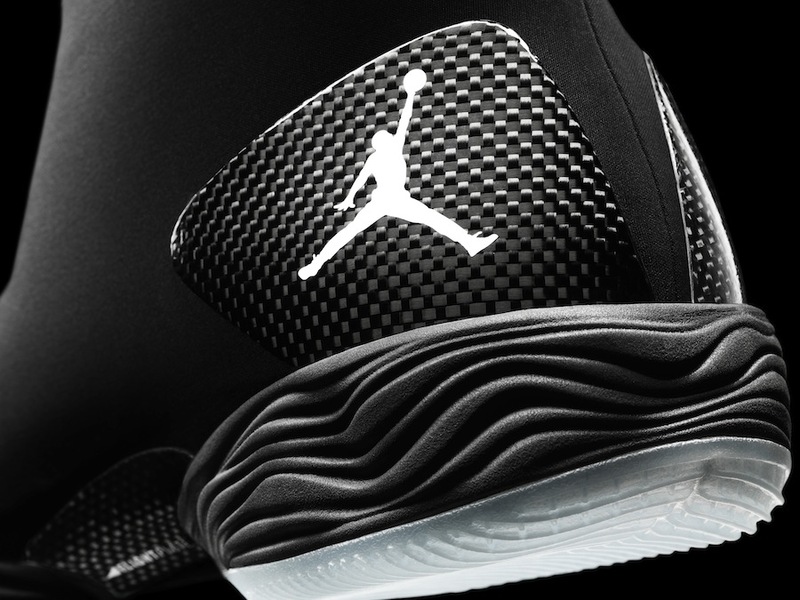 The AIR JORDAN XX8 boasts an ultra-modern stealth design for elite performance including more technological advances than any AIR JORDAN to date. 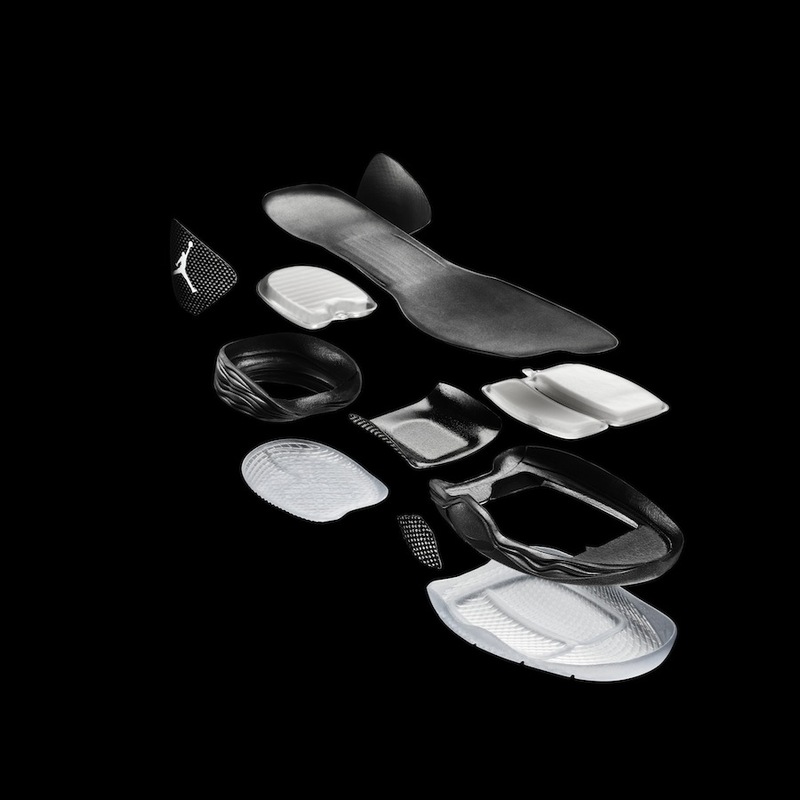 The AIR JORDAN XX8 – the most tested and lightest AIR JORDAN ever – has an industry-changing first: the Jordan Flight Plate, a Pebax® moderator plate that maximizes the responsiveness of the Nike Zoom units through compression and deflection for optimal performance by essentially unlocking the airbags in the forefoot and heel, unleashing the power of the Zoom bags. 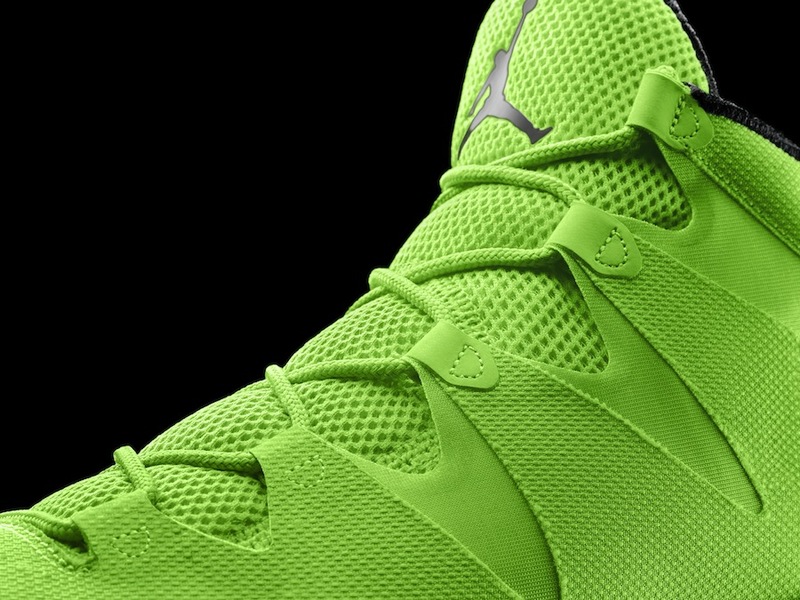 Also featured in The AIR JORDAN XX8 is Dynamic Fit technology that uses internal straps to wrap up from the midsole and integrate with the laces for lightweight support that moves with the foot providing additional lockdown support and comfort. 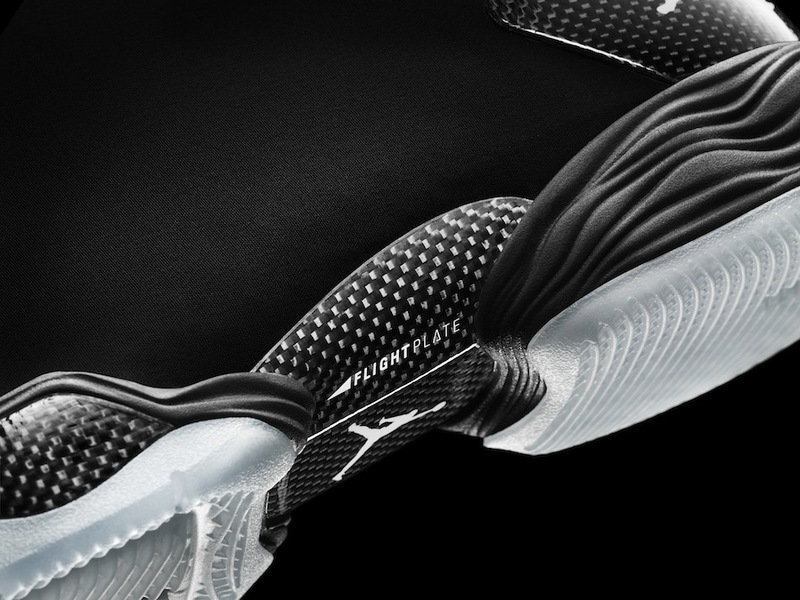 The AIR JORDAN XX8 also features a high-performance, stretch-synthetic shroud that provides a sleek exterior, while a molded external heel counter is made of carbon fiber for lightweight support. A multidirectional outsole pattern provides excellent traction and durability for the court. 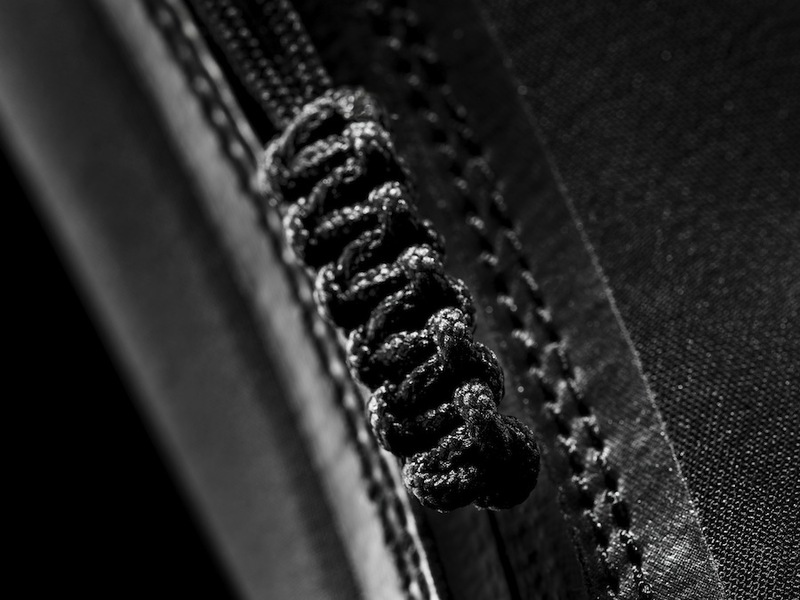 Schoeller mesh, a Swiss fabric used in premium motorcycling jackets, is used in the shroud that encompasses the AIR JORDAN XX8 to provide an extra layer of support, stability and style for the athlete. The AIR JORDAN XX8 continues to inherit inspirational cues from the legacy of Michael Jordan combining innovative technology and premium materials set to inspire those that consider themselves the best at their level. 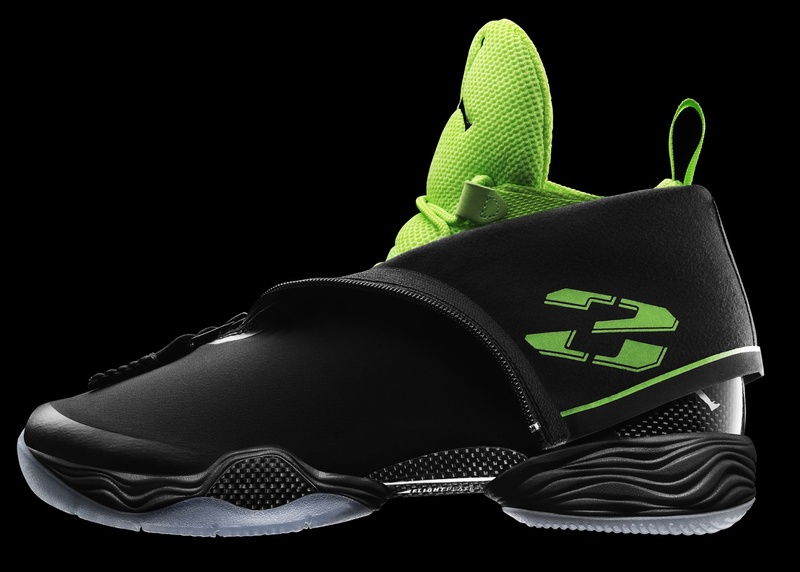 Designed by legendary shoe designer Tinker Hatfield, Vice President of Special Projects/Design for NIKE, and Jordan Brand Developer Josh Heard, the duo led a team who worked hand-in-hand with Michael Jordan to create the AIR JORDAN XX8. "With the ongoing evolution of the game shoe, I encourage our entire function to push the boundary when it comes to design, technology and performance," said Tinker Hatfield. 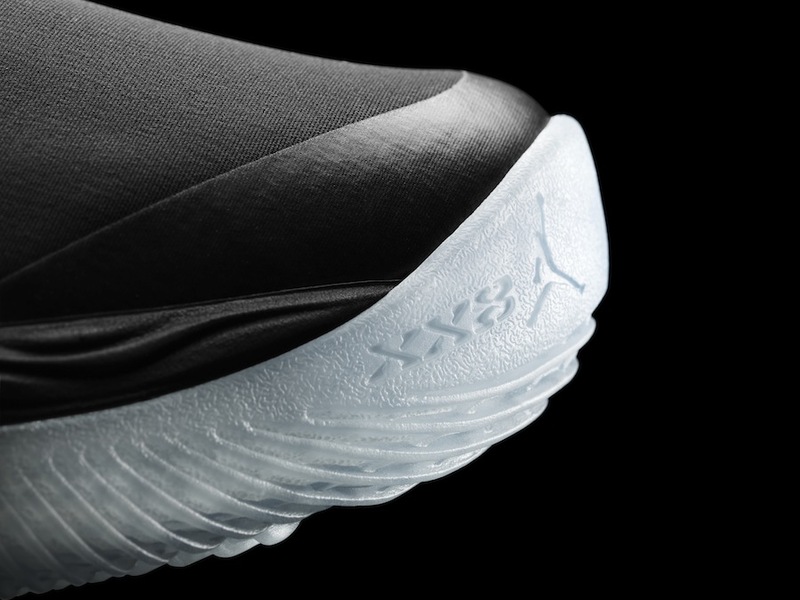 "The AIR JORDAN XX8 shoe really is basketball’s answer to the concept car."